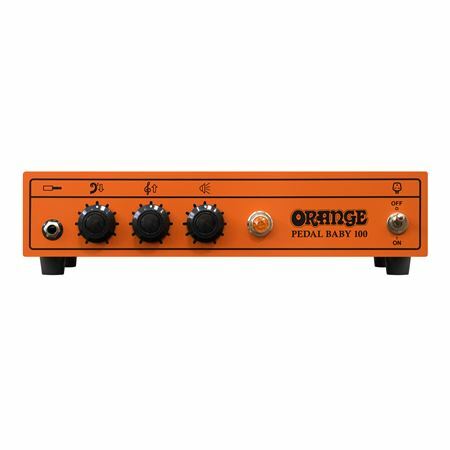 Order your Orange Pedal Baby 100 Guitar Amplifier Head 100 Watts from AMS and enjoy 0% Interest Payment Plans, Free Shipping, Free Extended Warranty & 45 Day Money Back Guarantee. 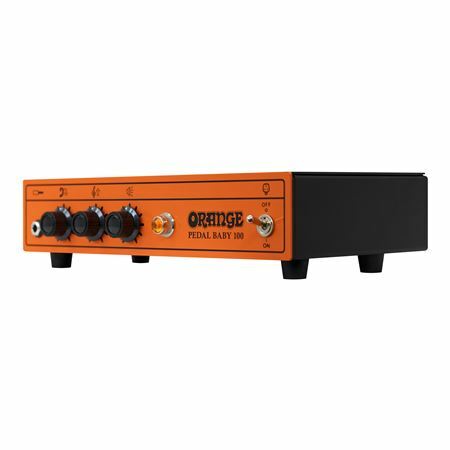 The Pedal Baby 100 from Orange is a compact power amp solution for touring musicians thanks to 100W class A/B design! Neutral-sounding but still flattering, it’s perfect for guitarists running pedal boards, modellers or digital processors. Light, compact and built for the road; fly dates and changing venues are all taken in its stride. 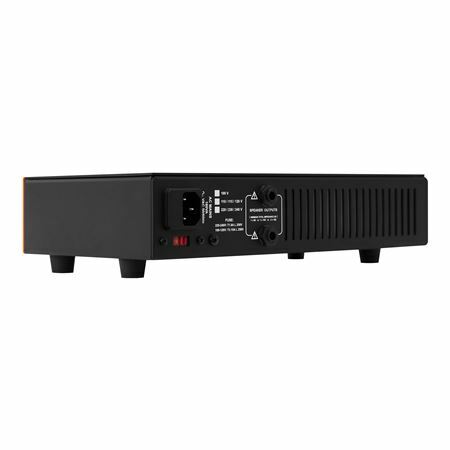 While Class D amps are favoured for their efficiency, Class A/B amps have a certain “feel” that you can’t get any other way. The Pedal Baby 100 gives guitarists back the dynamics, punch and natural sound that is missing in modern poweramps. 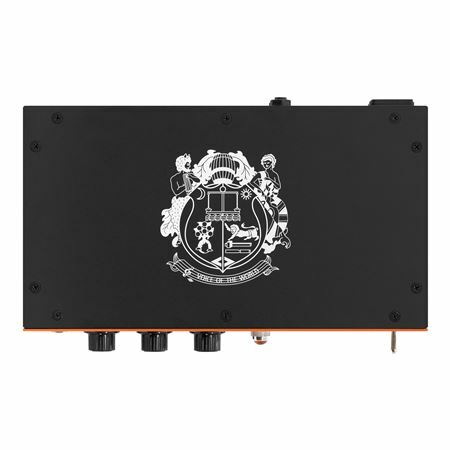 Plus, Class A/B amps produce real power through standard guitar cabs; 100W into 8 ohms and 70W into 16 Ohms, to be precise. 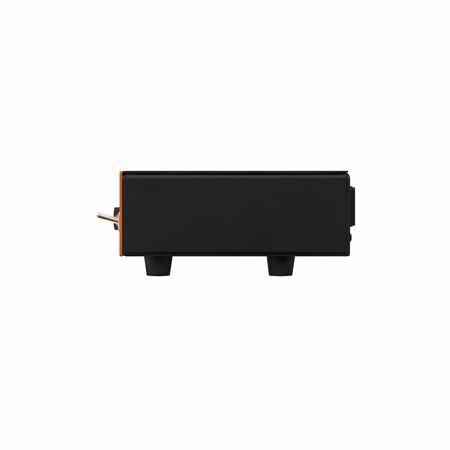 Inspired by valve amp design, the Pedal Baby 100 uses a Class A, single-ended front end. Forget sterile-sounding Solid State amps, the Pedal Baby 100 keeps all of your tone’s mojo, then adds a bit more. Different to traditional guitar amplifiers, the EQ has been designed to be flatter and more neutral. At 12 o’clock (neutral) the EQ cuts out allowing the tone to be exactly what your pedals define. With a responsive Bass and Treble control, guitarists can tune their cabinet to get the tone they’re looking for. 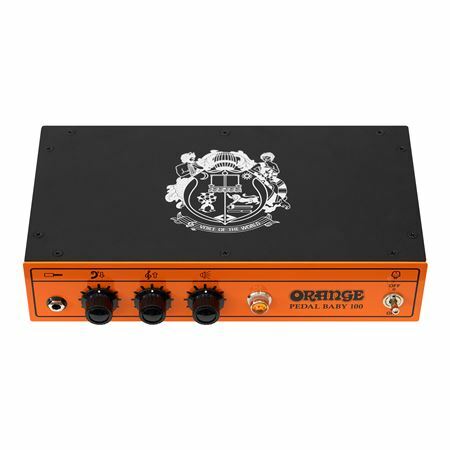 Weighing around 3KG and powering big cabs on big stages, the Pedal Baby 100 is the perfect amp for fly dates or any guitarist travelling light. Downsize your rig, not your tone.